I know how to make your Monday morning so much better! Back in February I was having dinner with a few good friends in California and I couldn’t keep my eyes off one of my friend’s necklaces! It was exquisite, interesting and a work of art. It had been wrapped a few times around her neck to make it shorter and she quickly took it off so I could examine it. The whole piece was full of intricate attention to detail. We were even able to wrap it around our wrists and create the most beautiful wrap bracelet. 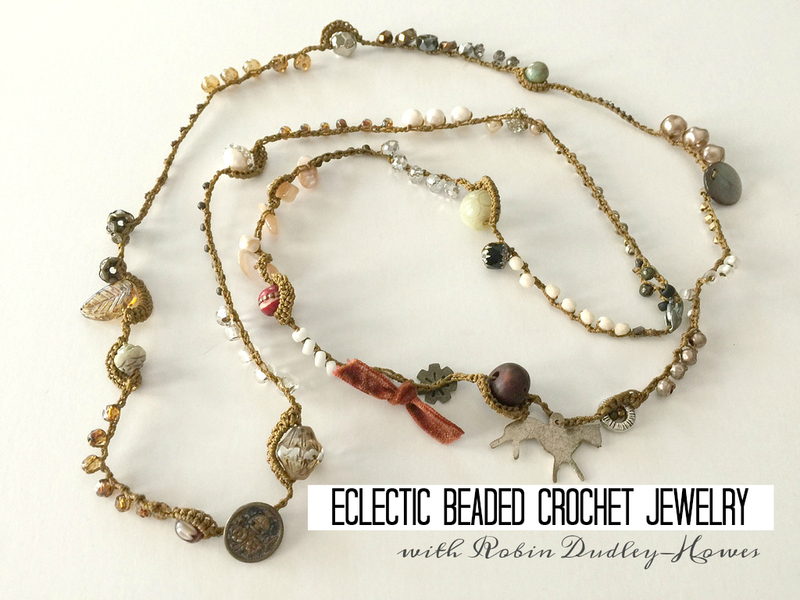 Well, I tracked this jewelry artist down and I am excited to tell you that Eclectic Beaded Crochet Jewelry with Robin Dudley-Howes is begins on Monday! On trend and so boho chic, learn Robin’s method to make these stylish crochet beaded wraps, NO crochet experience necessary! These fun pieces can be wrapped several times around the wrist or be worn as a necklace. In this course Robin will show you step by step how to make simple to elaborate crocheted jewelry. 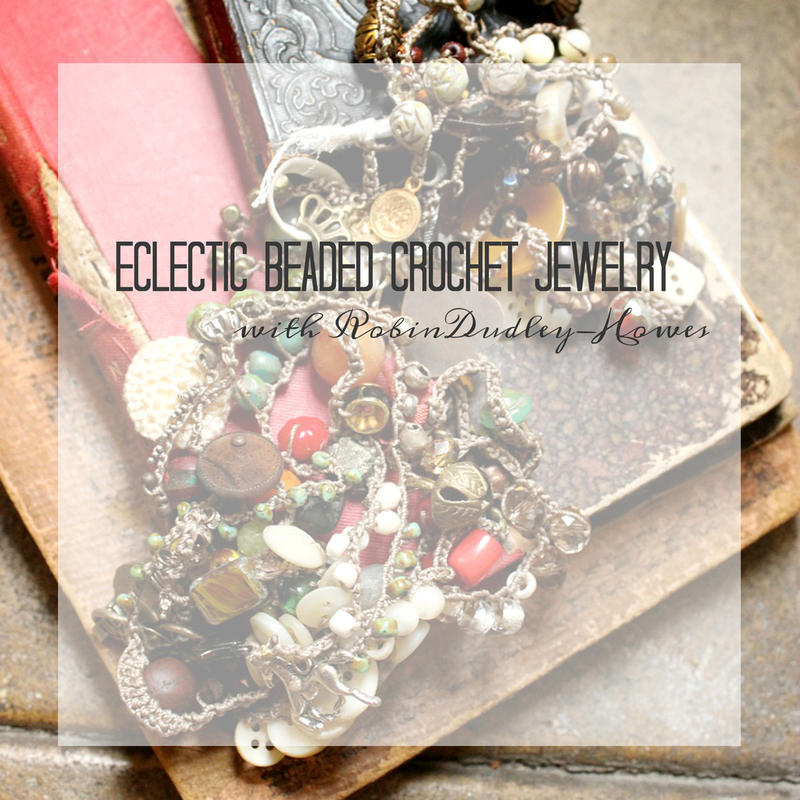 She will also have some fun bonus material on how to make your own one of a kind pendants, tassels and charms to add to your crochet jewelry. This course is for everyone! The first few videos will go over supplies, tools and the thought process of choosing what to use for your wraps. Robin will show you step by step the basic chain stitch, which is the foundation for all of the jewelry in this course and great practice for those who have never crocheted. Once you have that down you’re ready to move on to a one wrap, one bead bracelet. The next project will be how to make her popular mixed bead wraps using several sizes of beads, fiber and findings as well as her signature “bridge” stitch. From there she will show you how to add chain and different types of connectors and as a bonus you will also learn how to make one of a kind heart with wings charm and tassels. Once you get the hang of making these wraps, you’ll be addicted! The registration for this one week course (4+ hours of content) with lifetime* access is $42. One of our most popular courses has been the Studying Under the Masters series. When homeschool teacher, online course creator and public speaker Alicia Hutchinson suggested we bring the course to KIDS I was thrilled! 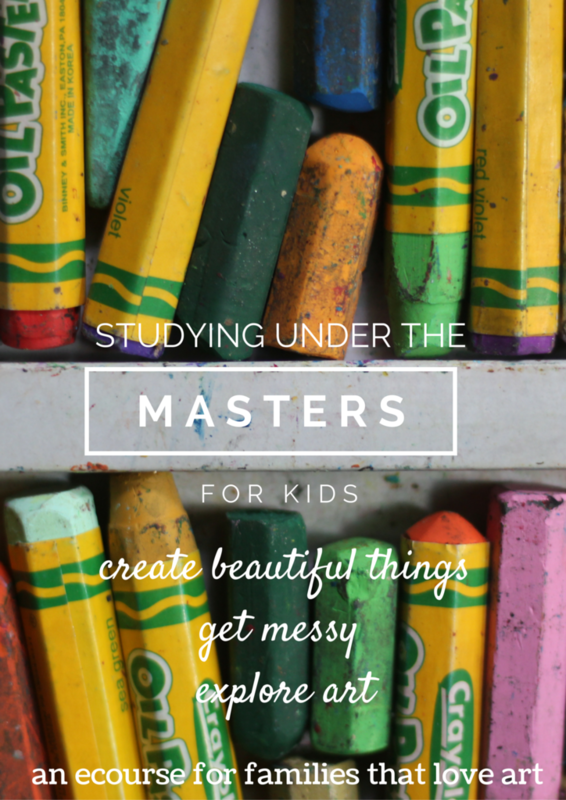 Studying Under the Masters for KIDS is a class that my children and I have been anxiously awaiting to begin and we are so excited to make this course a part of our next few months. 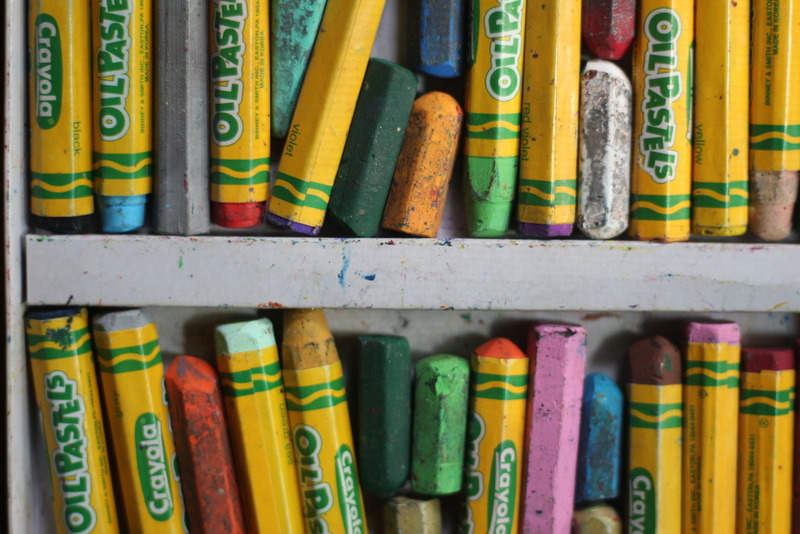 For children, art isn’t about rules and critiques. Art for kids is about expression and creating and fun! Creating art with kids is like opening the most fantastic Pandora ’s Box of possibilities. You never know how they will express themselves through art. Going back years and years to some of the most beloved Masters of art is a great way to intrigue children about different forms of art, different styles and different mediums. When young people used to aspire to be artists, they would take on the apprenticeship role under Masters of art. I want your kids (and you!) to come along with me and become apprentices to some of art’s Masters! We’ll go to Japan and learn from Katsushika Hokusai and his use of woodblock prints, how he could magically capture the movement of water, and study his beautiful landscapes. We’ll travel to Switzerland and study about Paul Klee. 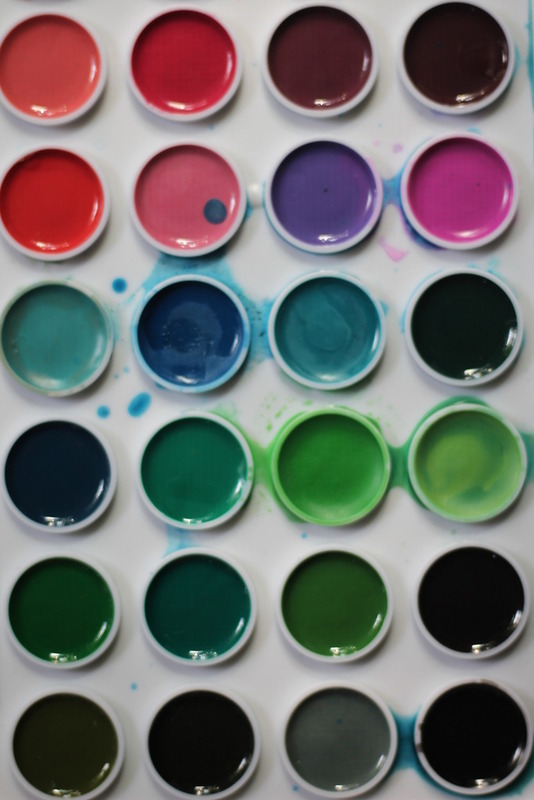 We’ll learn from his love of color theory, mixing mediums, and how his geometric shapes took on fluid movement. And we’ll explore Austria and the great Gustav Klimt. We’ll study his most famous paintings, learn about his love of shapes and mosaics, and how one of his favorite mediums to work with was quite extravagant! Each week, you’ll learn about a different artist. A video will introduce the artist, show many pieces of art by him, and we’ll learn some interesting trivia along the way too. After we’ve learned a bit about the Master, you’ll watch another video about that artist’s famed technique—printing, watercolors, mosaics, and more. When your child has gotten a grasp for the techniques we’ll move into the fun stuff—the projects! We’ll create lots of beautiful pieces of art inspired by our teachers—art to hang on the wall, to decorate with and even to wear! Invite the kid’s friends over and have an “Art Week.” Choose one of the artists and create art all week with your friends! Use as a unit study. Check out books from the library, go online and watch videos and fully immerse yourself into the life of the great artist. When you’re creating art like him, you’ll have such a personal experience! Use in your homeschool for a month or more of art classes. Create a wonderful one-on-one time with your art-loving child and create art together—make it a special date! Art should be enjoyed at all ages, but because this course goes pretty in-depth about the lives of artists and their specific techniques, it’s probably geared more towards older kids. My suggestion would be ages 7-12. We will be using supplies at times that won’t be suitable for little, tiny hands. If you have younger kids, you can always get them their own box of art supplies and they can create with their own supplies near you. Having both boys and girls myself, I try to be sensitive to not making our art projects too girlie. I was conscious of this when creating this course and it is definitely suitable for boys and girls alike. There is one project where we will be creating jewelry, but this would be a great gift for Mama or your son could make a more “masculine” version of the project. When you sign up to take this course, you’ll be receiving lifetime access to all the video content—over 7 hours. You’ll get a Student Notebook with information about each artist, spaces to take notes, book lists, art supply lists, and more. You’ll receive video content on many great art projects, tips on storing kids’ art, and videos on help with creating art with kids—even if it’s not your strong suit! 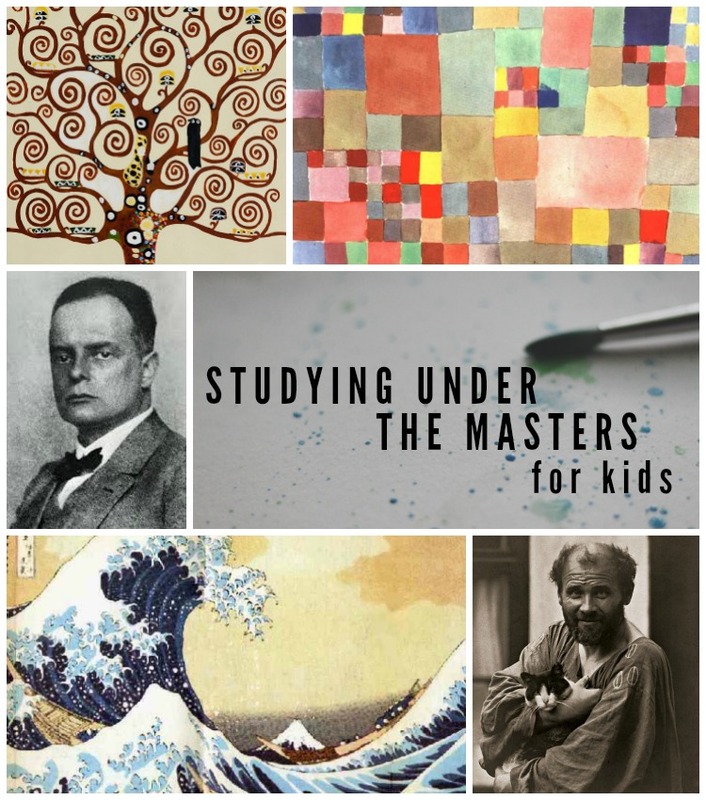 The registration price for Studying Under The Masters For KIDS is $52, will have 7+ hours of content, all videos will be pre-recorded for your convenience and has lifetime* access. The course will begin on Monday, September 19, 2016.